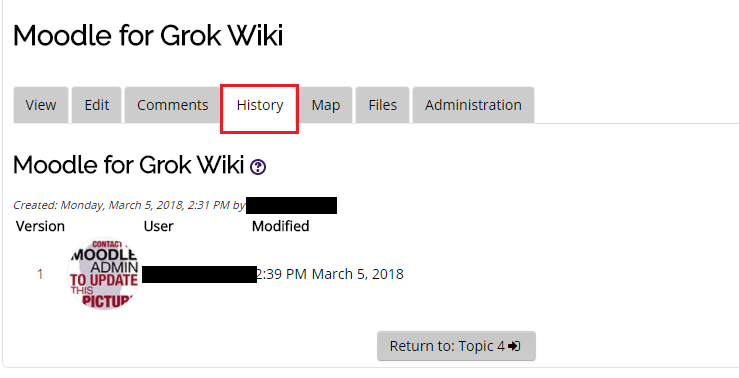 Wiki pages can be edited collaboratively, in which students will all share one wiki and edit it together, or individually, in which each student has their own wiki to edit and maintain. Editing a Wiki is explained in the steps below. 1. Log in to Moodle and click on the Wiki activity page you wish to edit. 3. 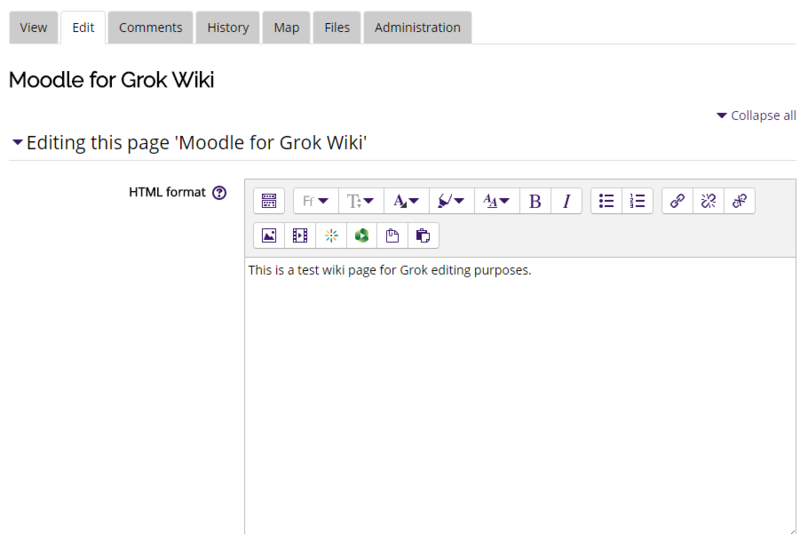 You will then be able to use the in-browser editing tools to edit your Wiki. 1. Log in to Moodle and click on the Wiki activity you wish to view. 2. Select the History tab. 3. From here you will be able to see the event history of the respective Wiki.